Before I started this thread, I did my homework and made a long method search at the topics to see if there is a duplicate thread. 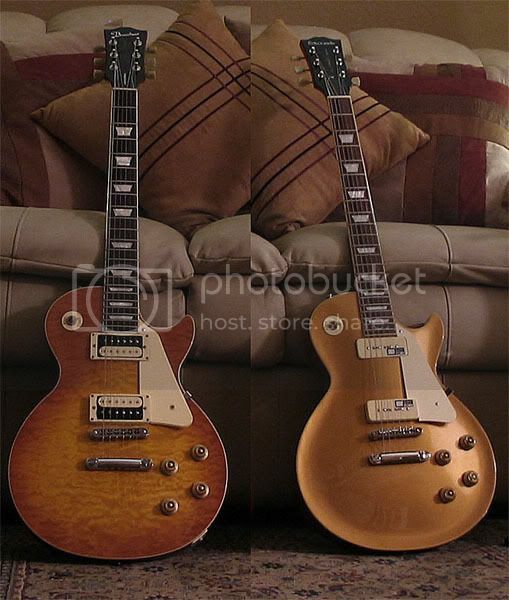 There were only two Les Paul (title search only) topics and they were "help" topics. I want to start this users thread because I have become a member (albeit, temporary). 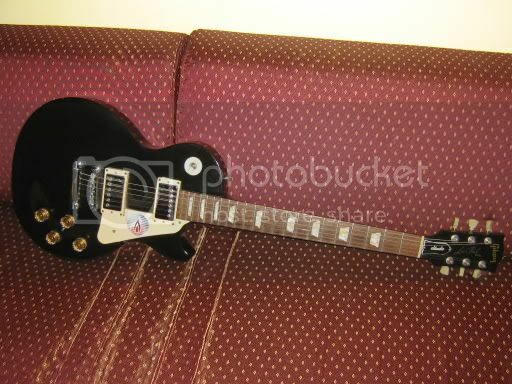 My cousin has lent me his 95 Epi LP for a few months. 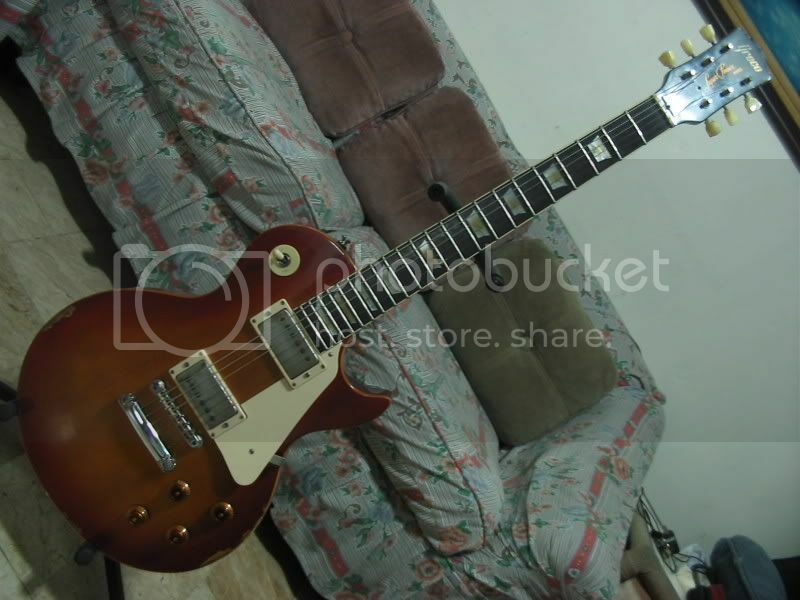 I wanted to borrow because I am GASing now for a solidbody humbucking guitar and I needed some comparitive testing. So, I decided to start with the legendary model. 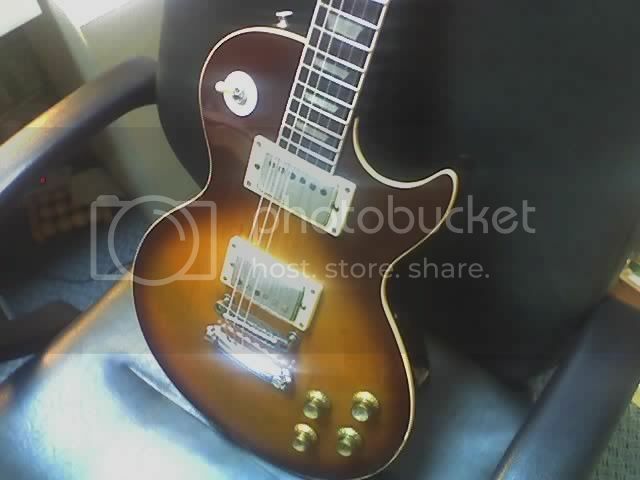 I have been a Fender owner over the last twenty years and have only "touched" Les Pauls or humbucker pickups occasionally. 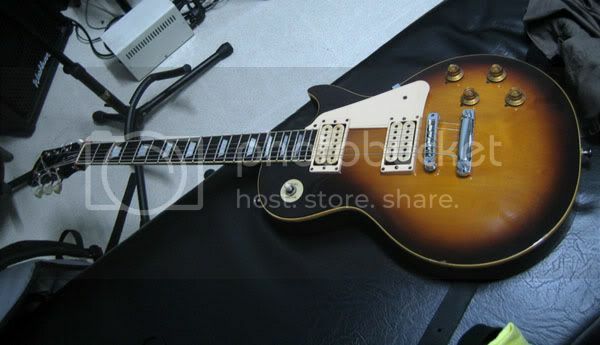 This means my experience with this types of pickups have been through eyes and ears only. 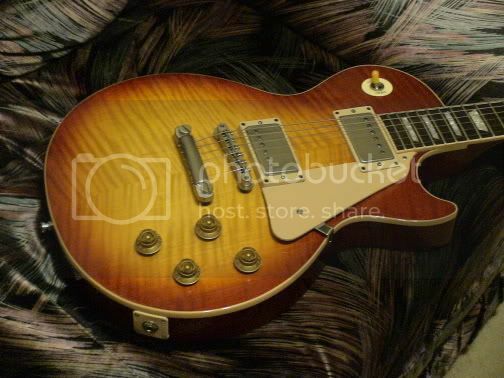 Played with the LP for about 2 hours last night and compared the tones with my single coils. Man, I could really tell the difference. 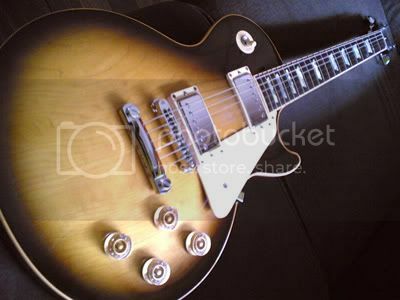 The muddy tones were so distinct from the single coils. Even with HS-3 in one strat, the fatter tones really came out of the LP. I still have to get used to the two volume knobs. I was so ignorant of this, I thought the neck PUP was broken when the output was softer as I switched. 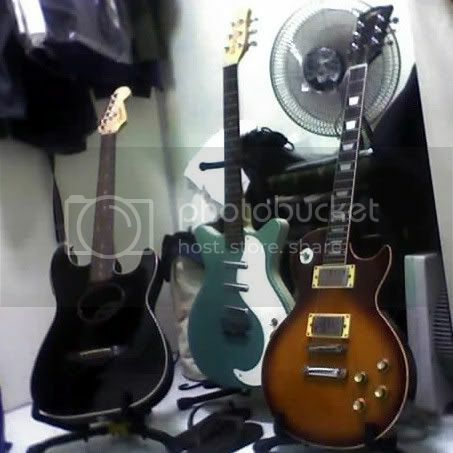 The Ibanez GIO and the Squier Esprit (which I both tested last weekend) cannot compare to the Les Paul. And this EPI was made in Korea with stock PUPs. I have found a new addition to my humble collection. It's a good thing my wife told to me to hold off buying the GIO last Saturday. 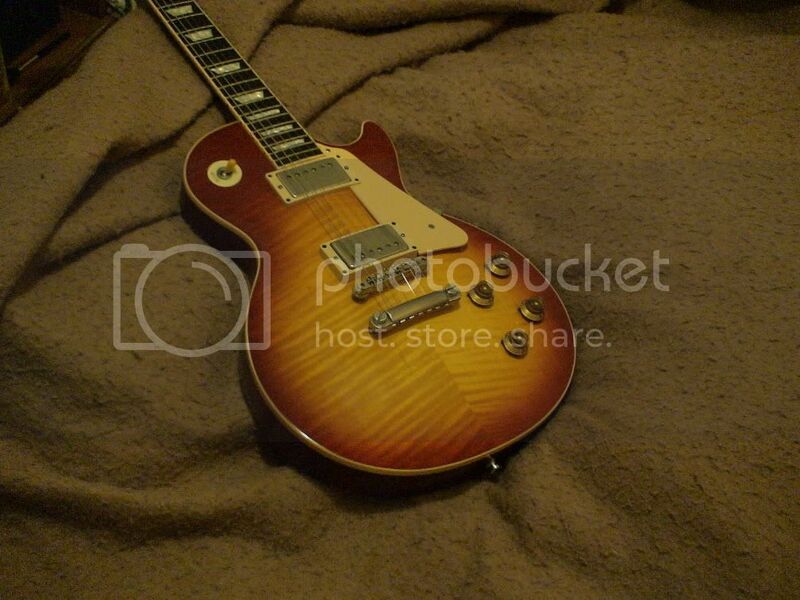 I have now decided to buy my own LP when the right one comes up. 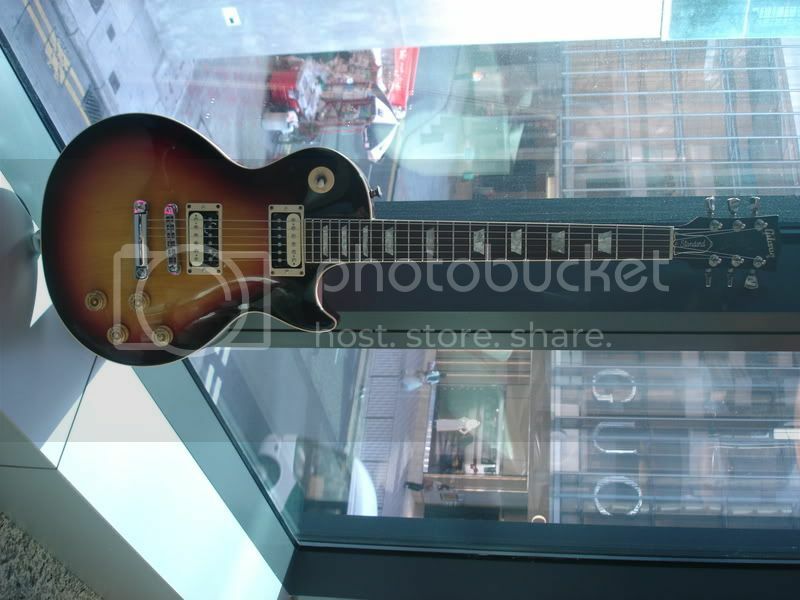 Maybe in HK (Tom Lee) or in the U.S. when (or if) I go there. 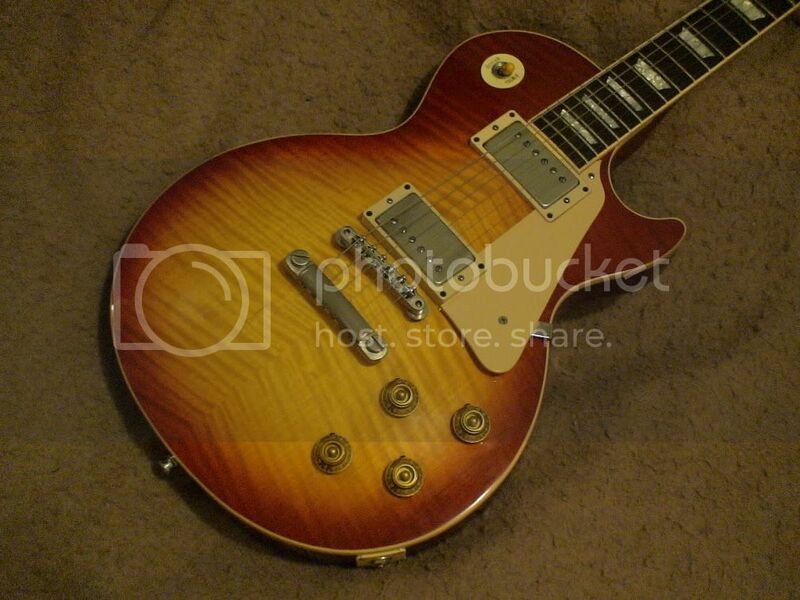 To the many owners of Les Pauls, I salute you. This axe should be in everyone's arsenal. 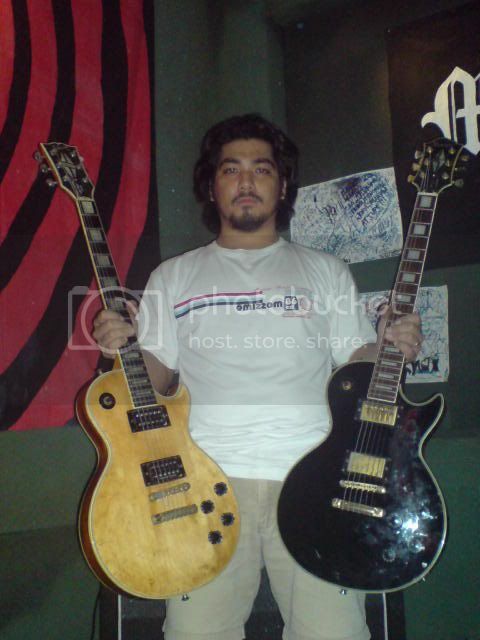 Yung dalawa ko. 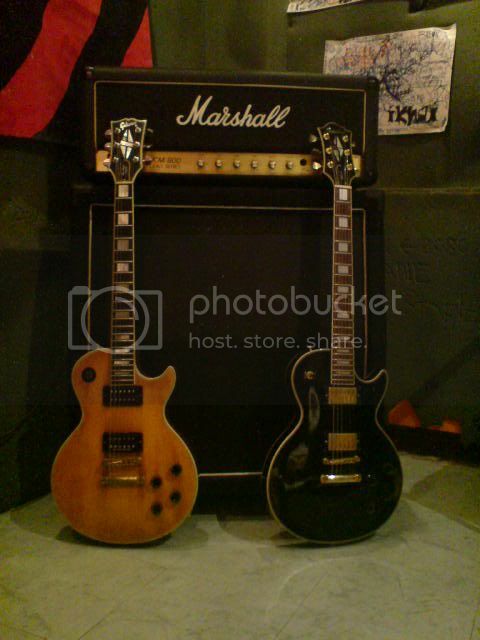 A Bacchus BLS-600QM and an Edwards E-LP-85SD/P/Gold. If you want, you can try mine if ever you're in Makati. For the sake of comparison. Just holler dude if you're in the area. Posted this na sa New Gears Thread! 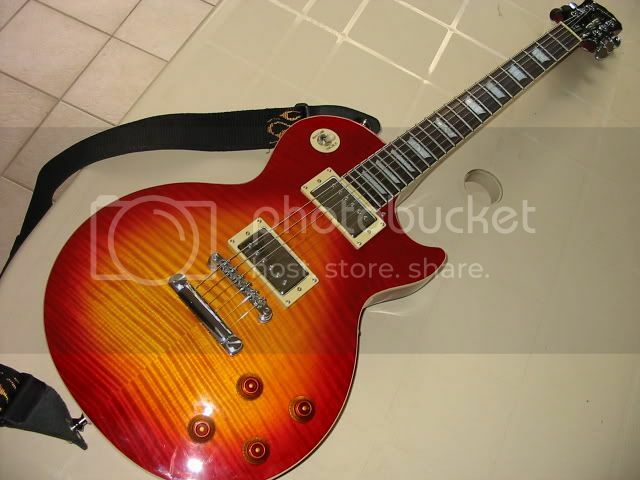 My Epiphone LP! here are my babies... BLACKIE AND BLONDIE!!! 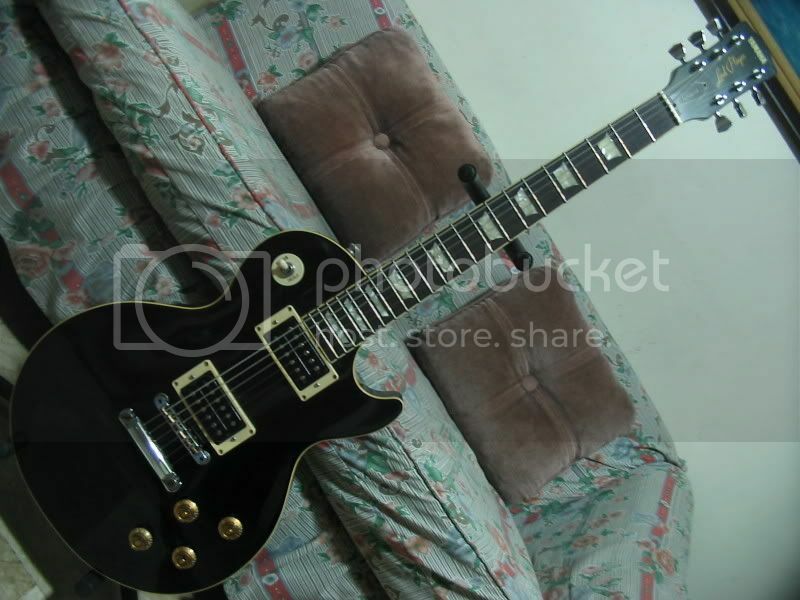 Anu yung Black Beauty mo? "when you stand the tall trees and mountains bow.. when you speak the fiercest of oceans is still.. and i see, sinners seek devotion.. the lost becomes chosen.. and i fall on my knees"
"Tone is in d sandals!" ang gaganda ng mga LP nyo ser! if i had the dough, i wouldn't hesitate upgrading. 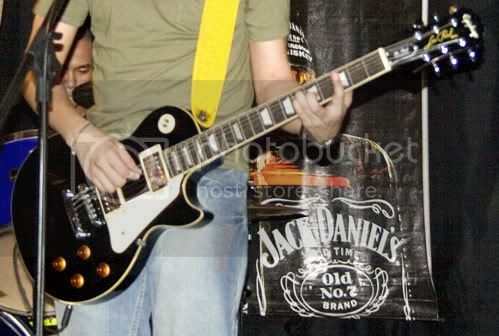 my gibson les paul classic 1960 gold top!! 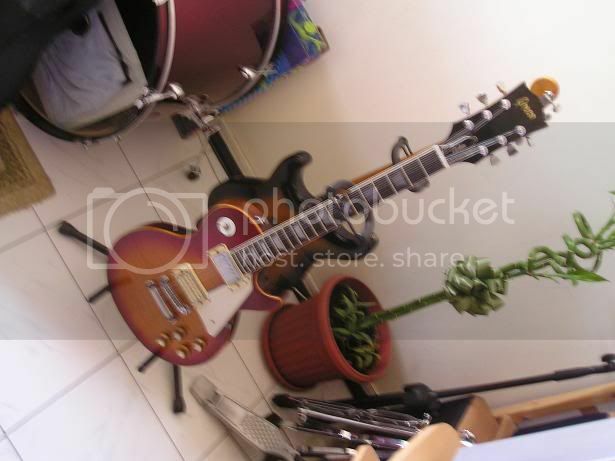 my epiphone les paul...sad to say wala na sakin toh..
meron pang isa pero di ko pa nakukuhanan...hehe!! to follow nalang! 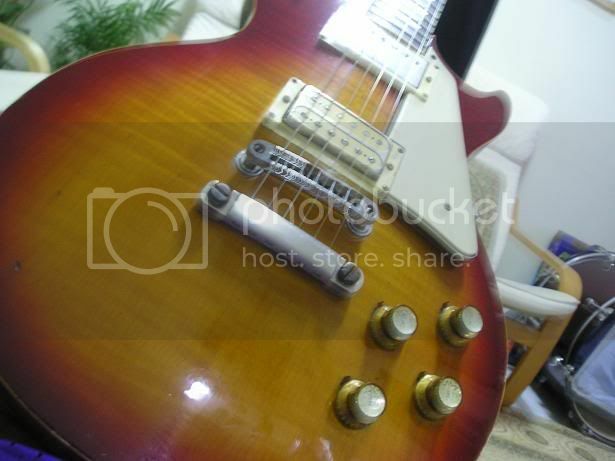 here's my Epi 80's LP MIJ this has the correct headstock shape. 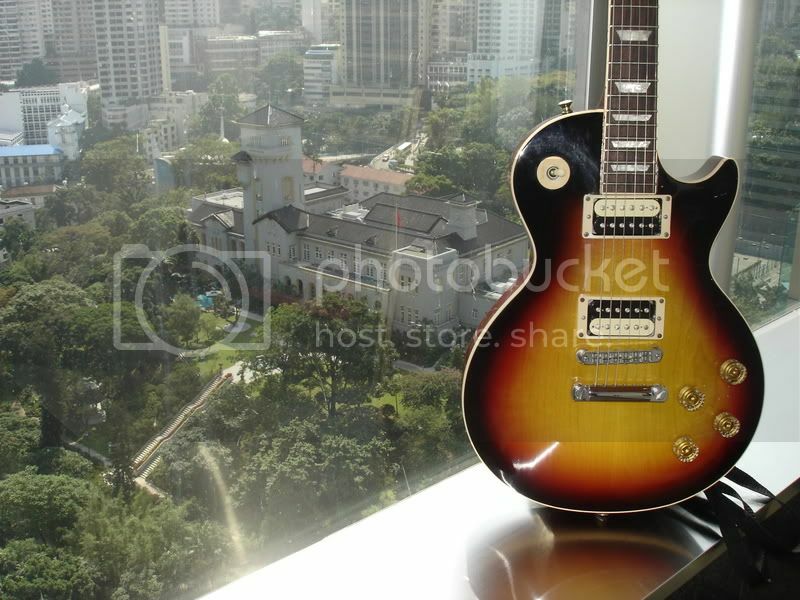 LP's usually have a big sound and muddy character but they all slightly differ here and there. i think weight has a lot to do with it. here's a sample of mine, it weighs a whopping 9.5 lbs!